Summer is all about fun and fun clothes comes right along with it. 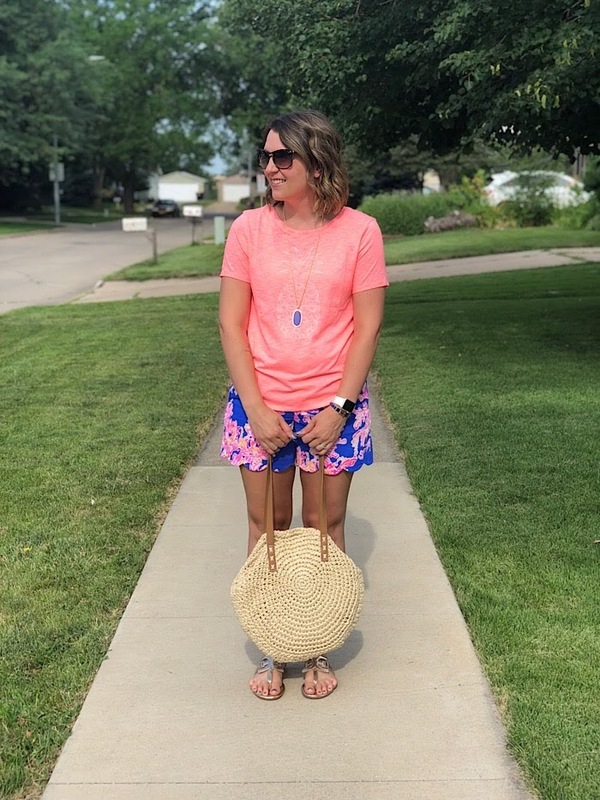 In the past couple years I've become a lover of Lilly Pulitzer thanks to Tif's influence. 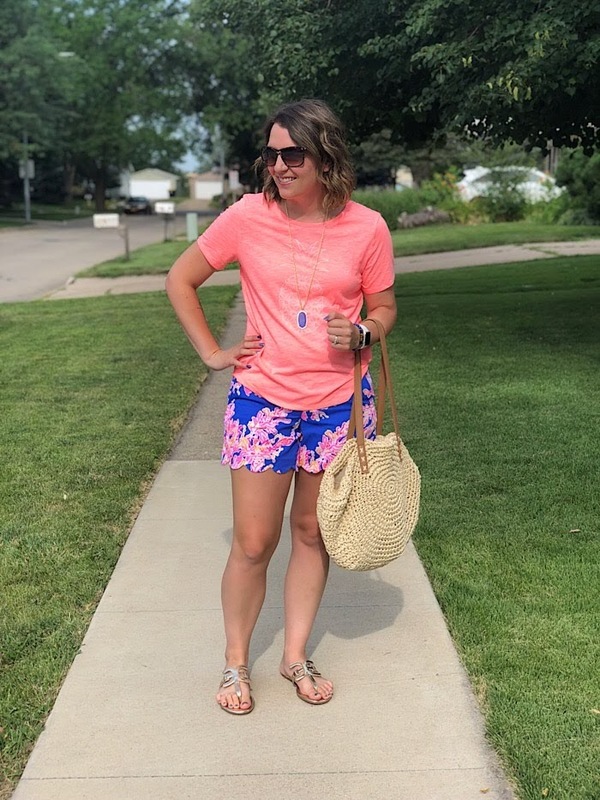 I am styling a fun and bright outfit with my Lilly shorts today! This post contains affiliate links. I will make a small commission if you purchase through my links at no added charge to you. I picked up these shorts at the Lilly After Party Sale which they have two times a year. There's one coming up in August. 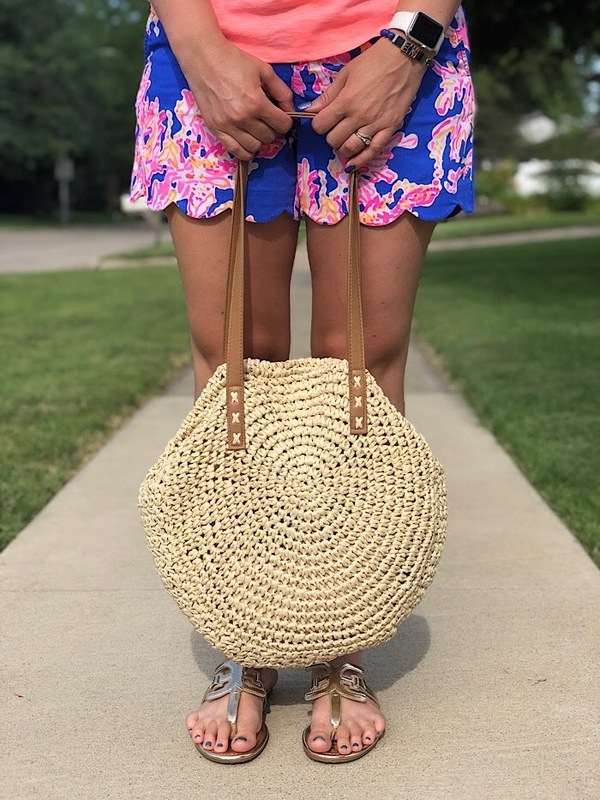 Lilly at full price is a little much for me but with the APS and Poshmark, I've been able to add some pieces to my wardrobe! 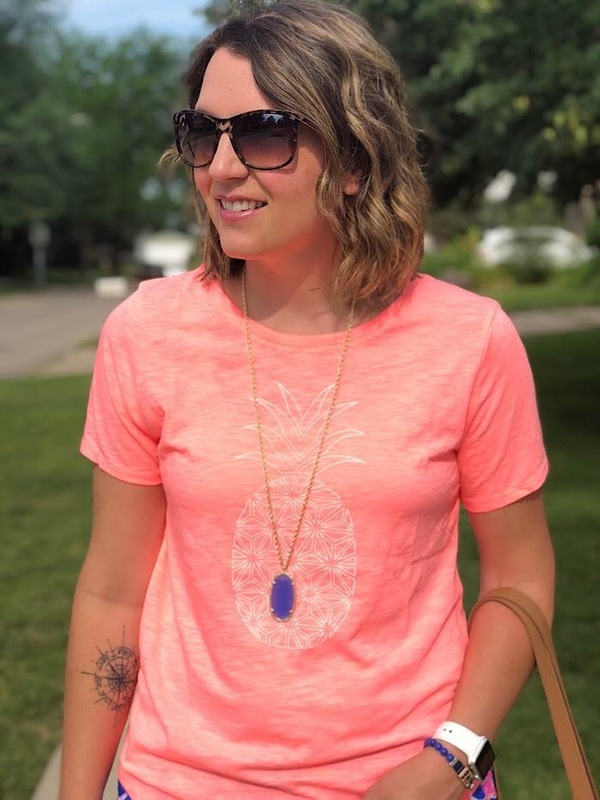 Because the prints are so bright it's sometimes hard to find tops to match, but this tee from Old Navy was perfect. You can always wear white, too! I just picked up these gold sandals from Amazon. They're a nice name brand and kind of have a Tory Burch vibe to them but the price tag is way less than Tory. They are also super comfortable, so if you're looking for some new nice sandals, pick them up. The gold goes with everything! 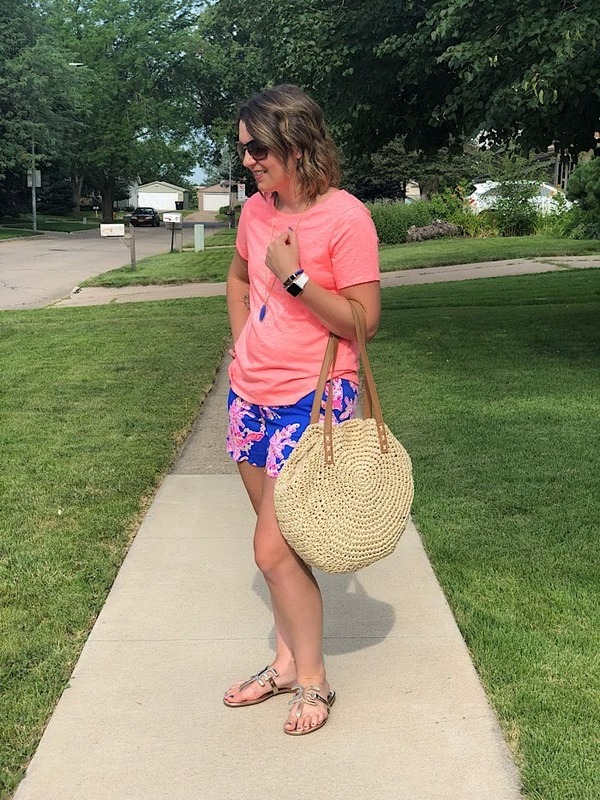 I just love fun, bright outfits for summer and this one made me feel great! Are you a Lilly lover? Do you shop on Poshmark?